Effective against dandruff and itchy manes and tails. 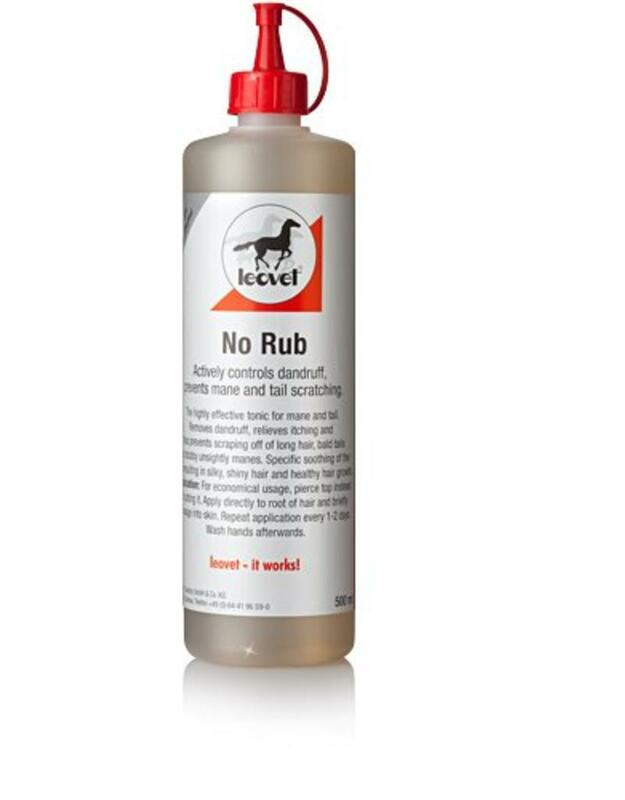 No-Rub frees from dandruff and makes itchiness disappear, thereby preventing frayed manes and tails, bald tail roots and short, unsightly manes. With bio-sulphurous fluid and urea to normalise all biological processes, thus making for shiny and healthy hair from root to tip.